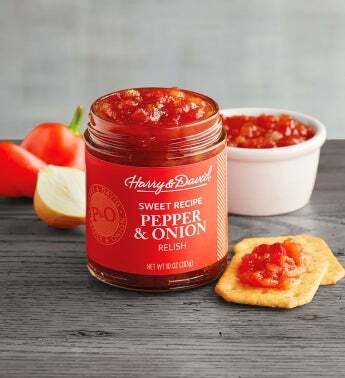 A delicious twist to our classic favorite, Pepper and Onion Relish, this Sweet Pepper and Onion Relish is made with ripe tomatoes, premium red bell peppers, jalapeños, onions, and vinegar. Endlessly versatile, this sweet pepper relish adds flair to many dishes and elevates simple snacks. It is an excellent addition to any gourmet pantry.